As part of the International Studies division at SIBI, the Sunset Translation Center exists to provide quality biblical resource materials for the world in their native languages. These courses are primarily being translated into the languages of those areas where Sunset has schools so that when the students graduate they will have a basic library for further studies. For years missionaries and ministry trainers in foreign lands have pleaded for printed material that has been biblically and accurately translated to share with local Christians. Many of the translated SIBI courses will make excellent evangelistic tools to reach the lost. The Translation Center has a partnership with Eastern European Mission to print books for that area of the world. Other funding and donations of time, money, and equipment will enable us to print in other parts of the world. The editing process begins with a written transcript taken from an audio or video recording of a Sunset course. It goes through major changes in a first draft and at least four English edits before it is sent to a Sunset instructor for proofing. Then the course is sent to a native speaking translator. After the course is translated, it is sent to another editor, a professional linguist, and at least one more edit is done before it goes to print. This is an extensive process with specific guidelines for the translators and editors to ensure a series of books that Sunset can be proud to put its name on. Translations have been done in Spanish, French, Russian, Arabic, Chinese, and Khmer to name a few. 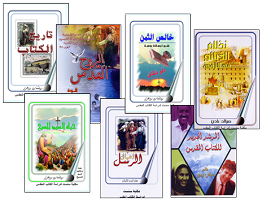 These works are available at our online book store or by contacting us directly.